Grandma Francisca, 91, shares three of her New Year’s Resolution for 2019. Grandma Francisca scratched her head when asked how old she is. After a moment, she said she was born in 1928. “I couldn’t immediately remember my birth date,” Grandma Francisa said laughing. 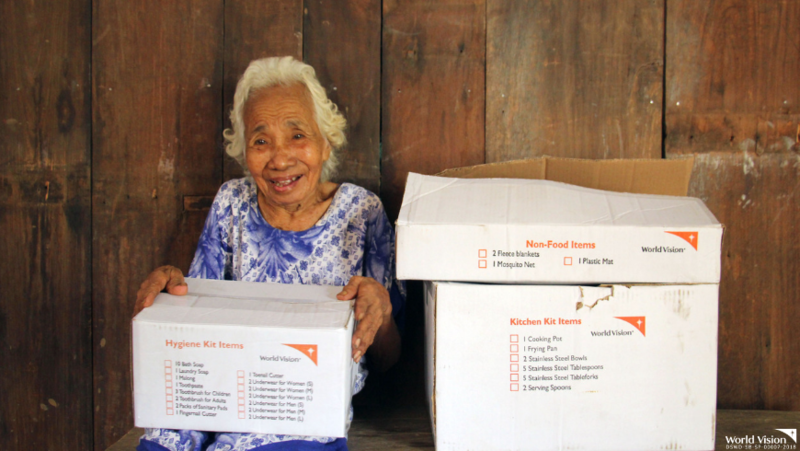 Francisca is one 6,880 families who received relief assistance from World Vision, with funding from the Government of Hong Kong Special Administrative Region. The kits include hygiene essentials, kitchen set, bed mats and sheets. 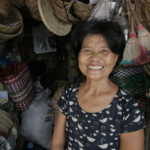 Her village was flooded when typhoon Ompong (Mangkhut) made landfall in the province of Cagayan in September 2018. 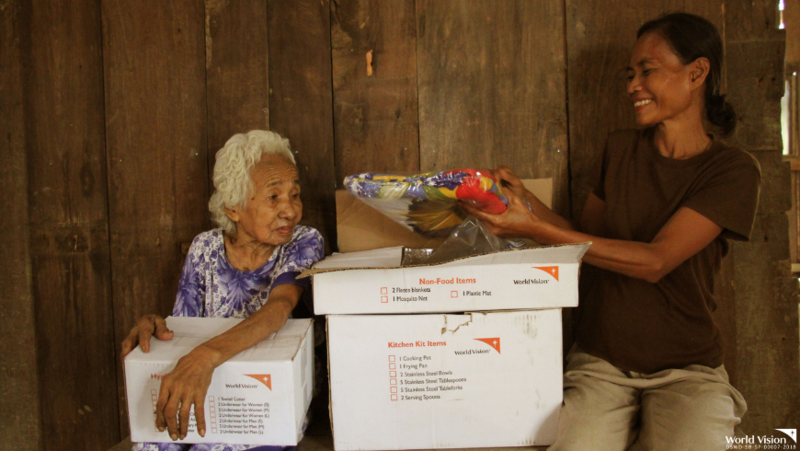 The flood which reached six feet forced her, her sickly husband Reymundo, 92, and daughter Edith, 51, to evacuate to a nearby school. Grandma Francisca with her daughter, Edith, 51. “We ran slowly there,” Francisca said. Those listening laughed. “You ran slowly, Ma. We ran fast,” Edith jested her mother. Grandma Francisca laughed. “My legs hurt sometimes,” she said in a slow voice. 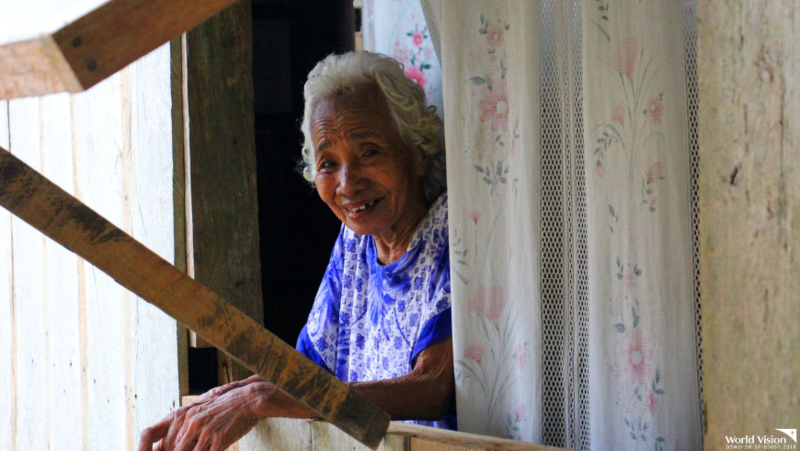 Francisca said that even when she was young, their place would usually get flooded. Though her parents wanted to move to a safer, flood-free area, they couldn’t. “We don’t have money. I didn’t even finish school,” Francisca said. 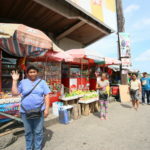 Francisca has eight children, most are married and working. She has 25 grandchildren. “Can you recall all of your grandchildren,” Edith asked her. Edith walked up to a narrow ladder leading to a make-shift elevated floor. Edith later said that during Ompong’s wrath, the flood reached the “second floor”. 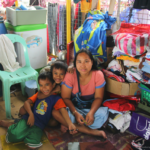 After Ompong, the family had to repair a portion of their house and buy new stuff to replace the items that got soaked like their bed sheet and clothes. “Your relief items were just in time. In fact, I am using the bed mat now,” Edith said, pointing at her bed. As Francisca reaches her 91 years, she shared some of her “Things to Do” this year, or her New Year’s Resolution. Eager to know what a 91-year-old grandma’s resolution, everybody in the house was silent. Grandma Francisca continued, “And — I will remember my birthday…” Everybody laughed again including Francisca. Everybody laughed. Such a happy household. Thank you for making the whole of 2017 feel like Christmas!